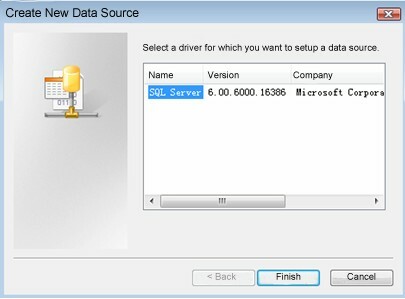 Where can I find QuickBooks Data driver? 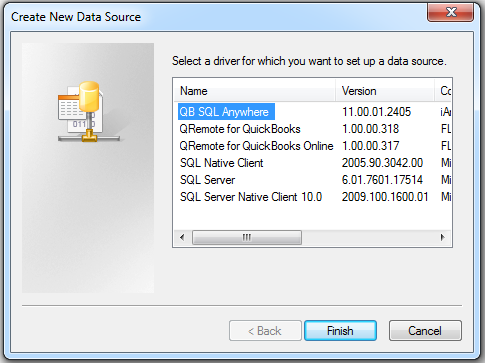 Don't I need to configure QuickBooks Data driver instead of QRemote for QuickBooks driver? On a 64-bit system, 32-bit ODBC drivers are available to 32-bit applications, but not to 64-bit applications. If your application is 32-bit, then you need to use 32-bit ODBC driver. If your application is 64-bit, then you need to use 64-bit ODBC driver. You need to choose ODBC driver as per your application architecture, not as per your OS architecture. Since QODBC is a 32-bit only ODBC driver, the only applications that can access it are 32-bit applications. 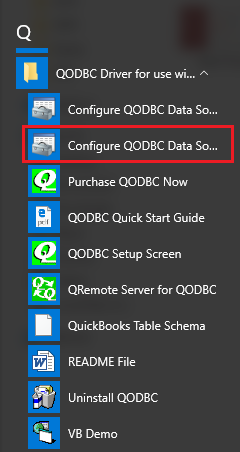 1.Click Start -- > All Programs -- > QODBC Driver for use with QuickBooks -- > Configure QODBC Data Source. I'm not sure that you can turn it off, since it would be necessary if you nedeed to use a 64-bit application. The easiest thing is to make a shortcut to the 32-bit version and place it in a more prominent location (on the Start Menu for example). I am not able to connect using BO XI Client tools to our DB2 daaabtse.On the server I have setup the odbc system drivers using 32-bit. Everthing works on the server connection wise but the client tools do not. Any suggestions?